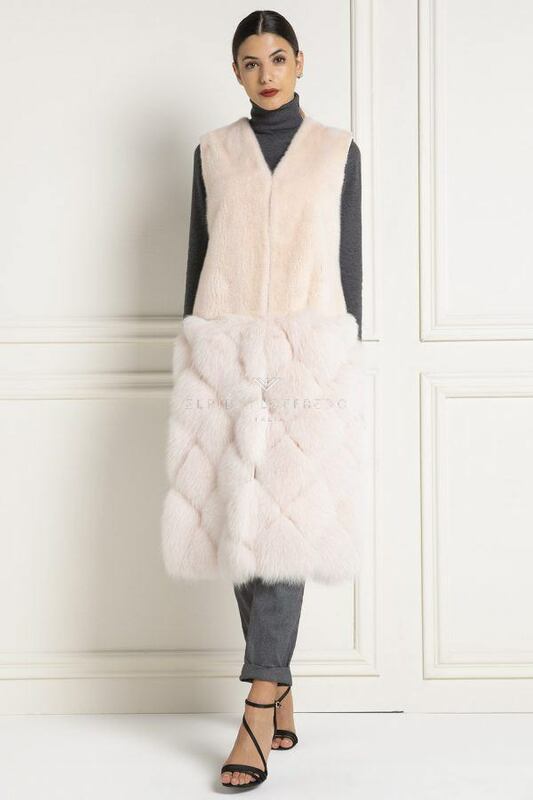 Shearling Vest with Fox and Mink whole skins. 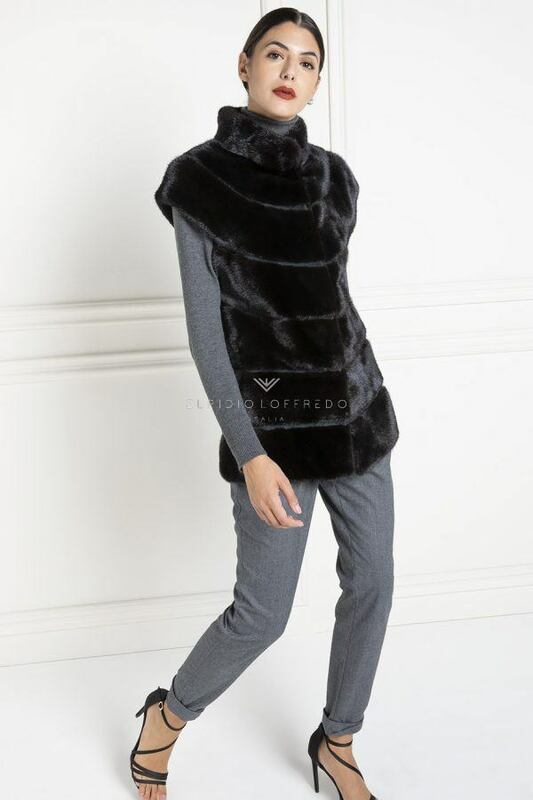 The ElpidioLoffredo Lamb Fur Collection presents this elegant shearling vest at an incredible price. 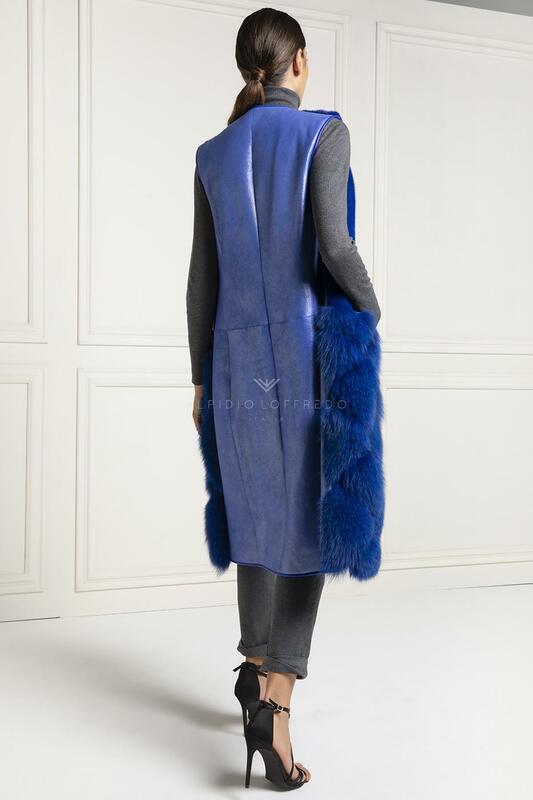 Also this lamb shearling vest, as the most part of the collection, is made using the best skins carefully selected by our laboratories. 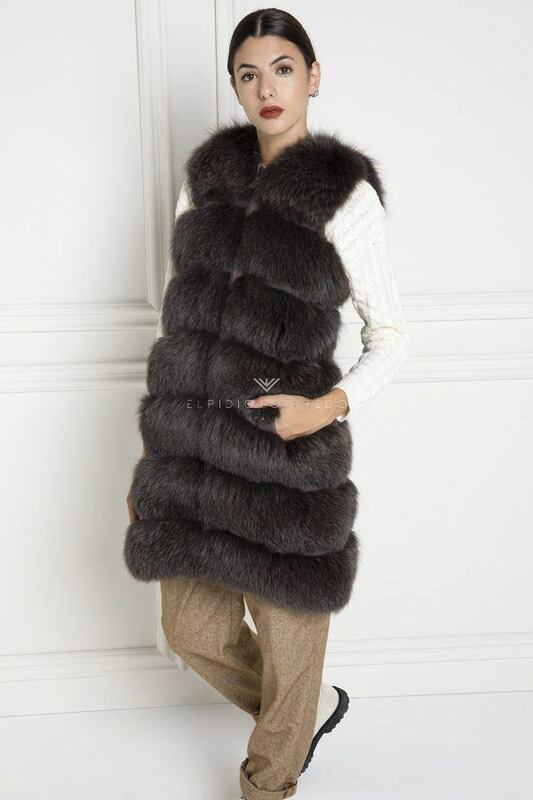 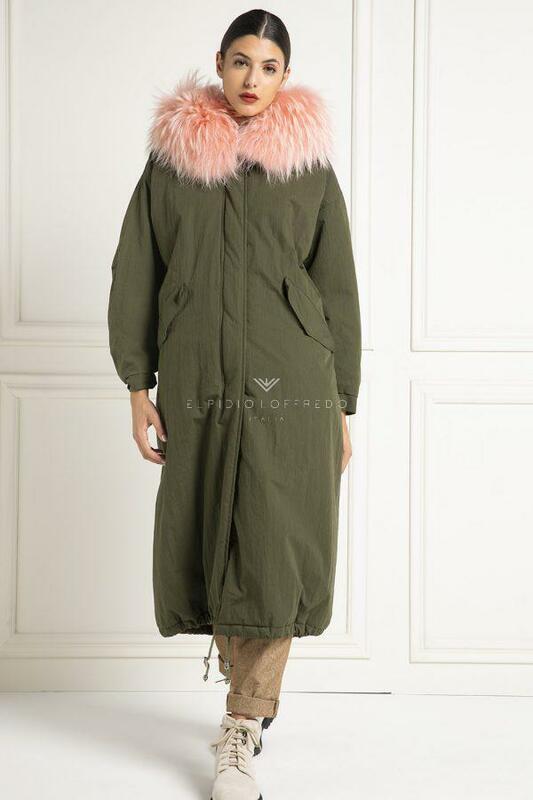 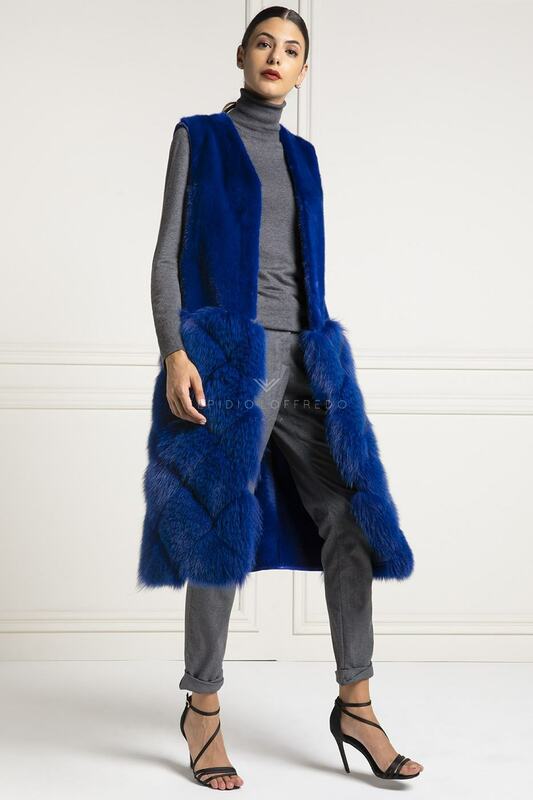 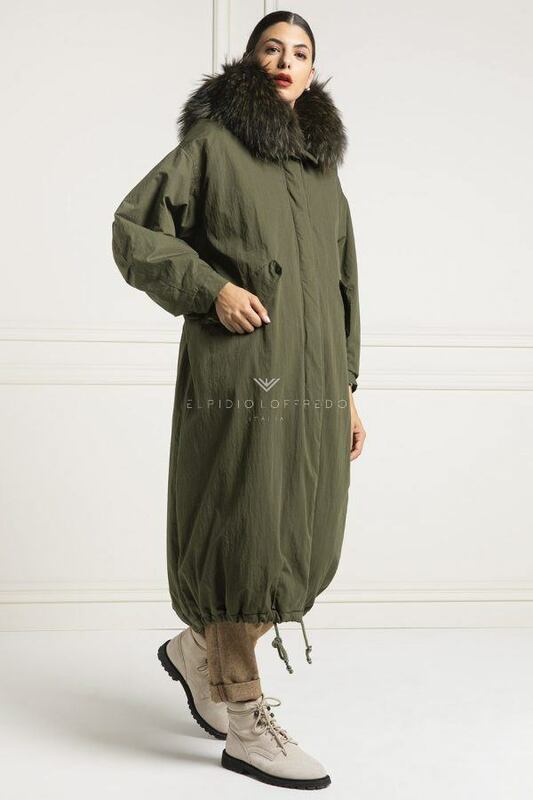 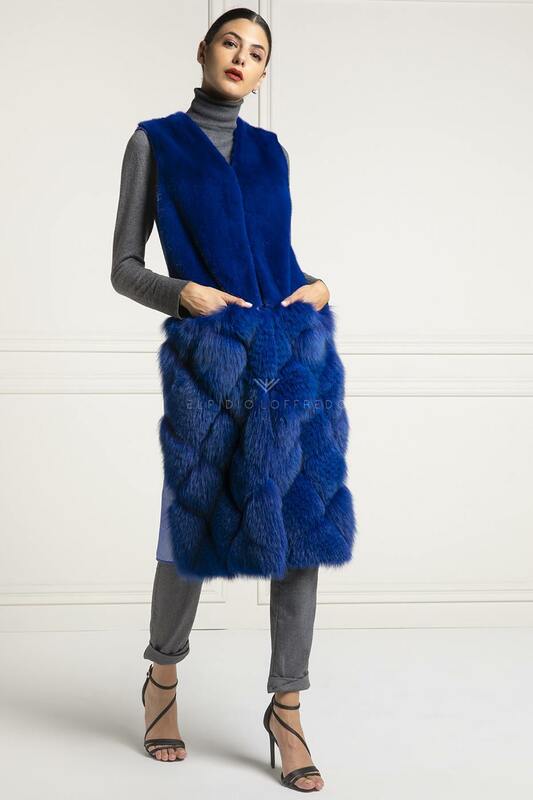 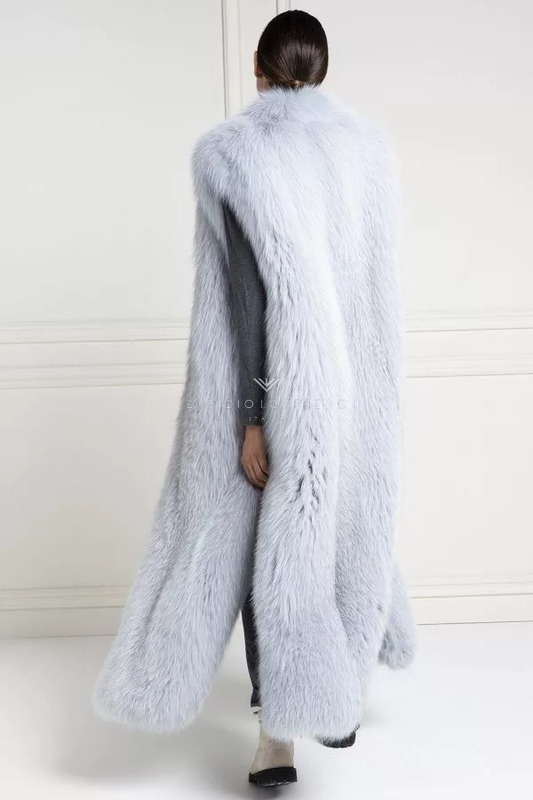 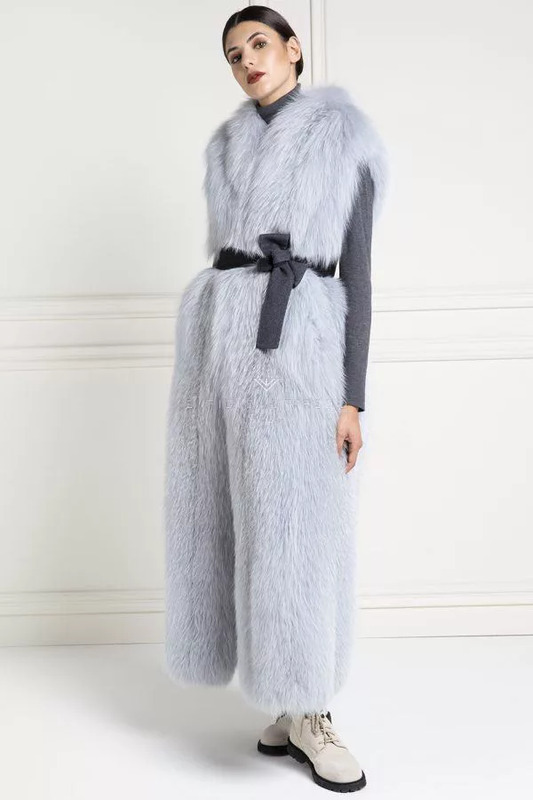 The type of shealing lamb fur used for this fur vest is New Zeland. 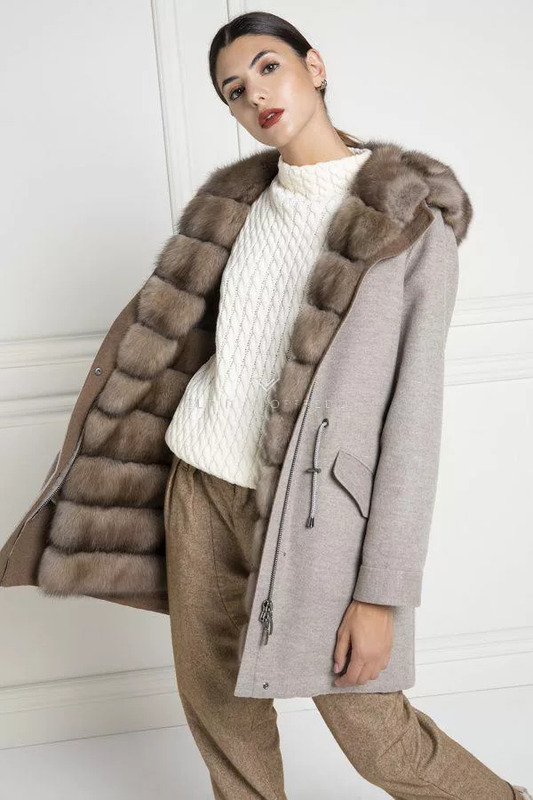 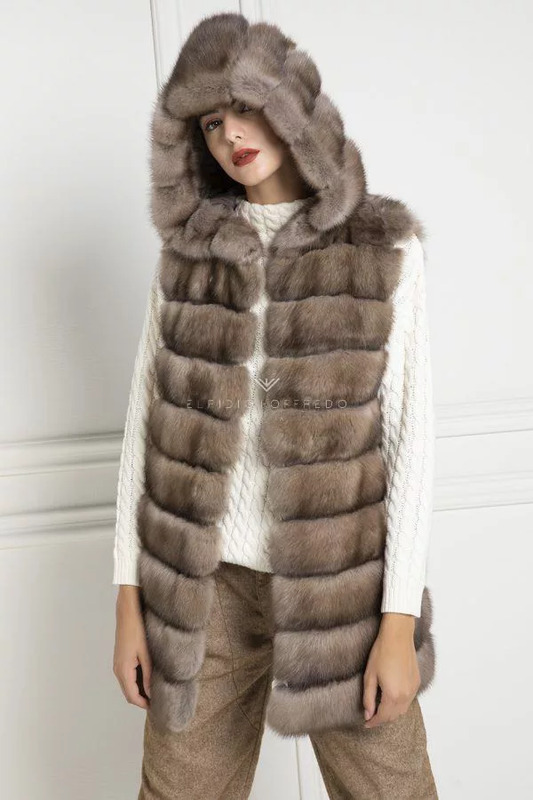 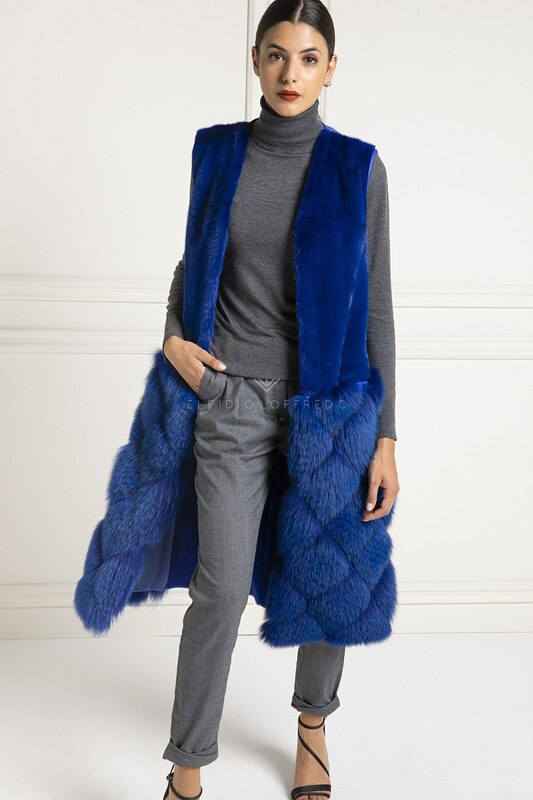 The main features that make this shearling vest elegant are the plat collar, the buttons closure, and the lining in step with the 2018-19 fashion that give that extra class touch. 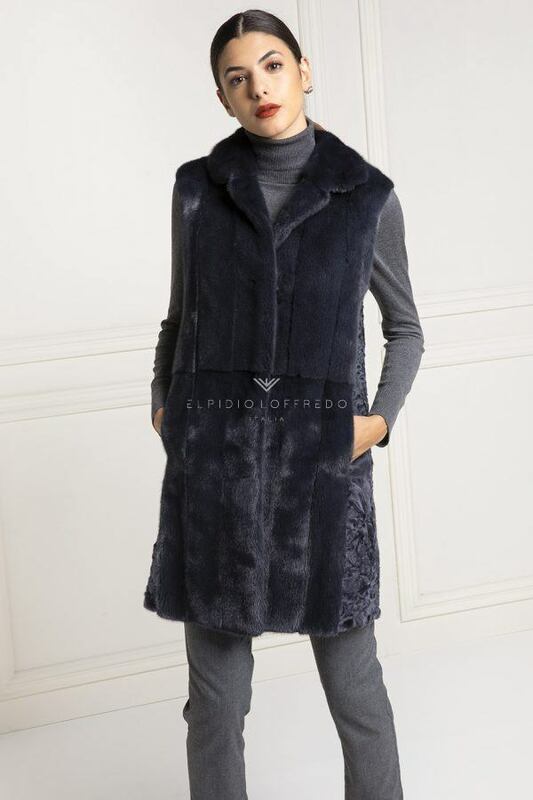 Subscribe to the ElpidioLoffredo World, you will receive a discount coupon immediately on your next purchase. 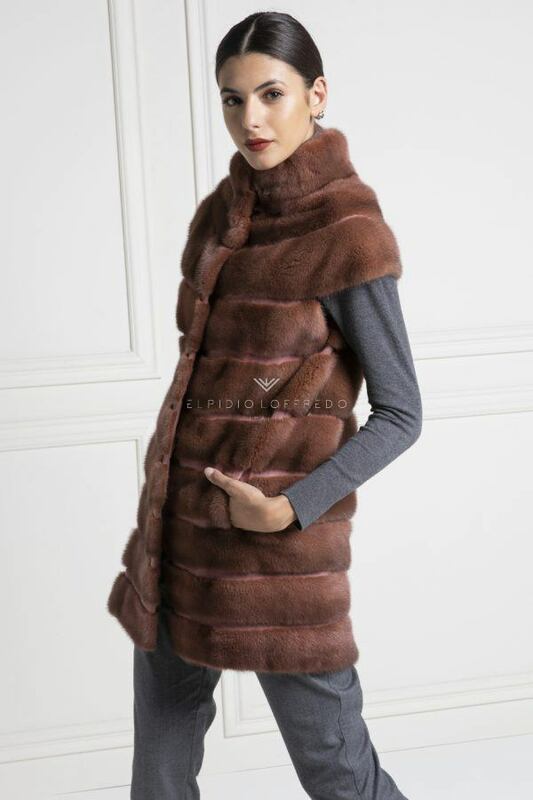 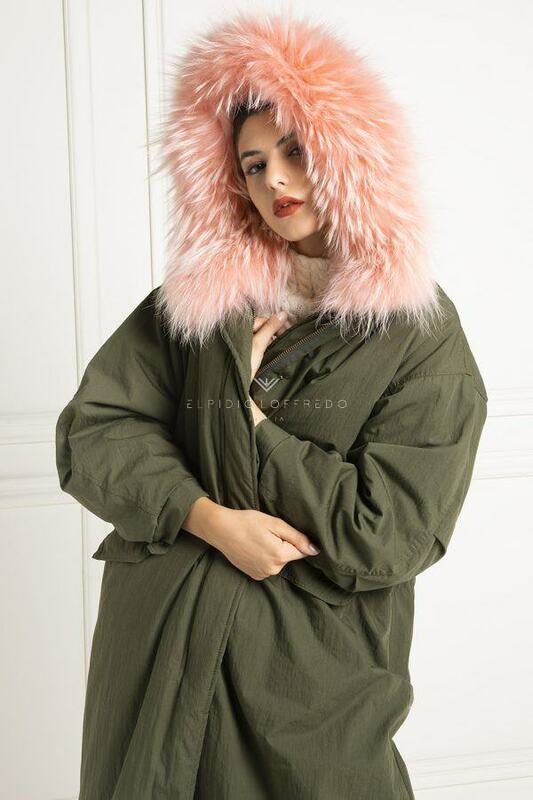 Order now this shearling vest, shipping is free and very fast, and you have the opportunity to personalize your payment method. 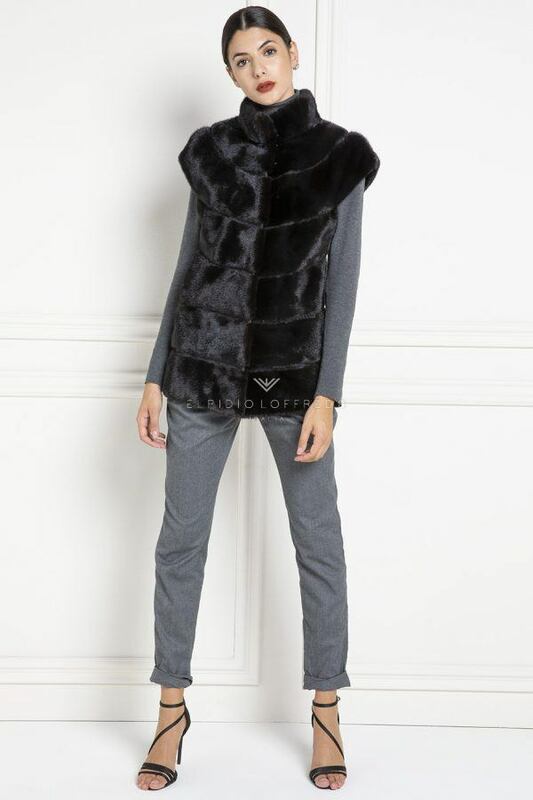 Lamb Shearling Vest with Mink Fur and Fox and whole skins.